Available exclusively at Amazon.com, in paperback and Kindle editions! Cover by Samo Gale. Entire contents copyright ©2013 by Bob Gale. ...and wished the worst on your tormentors, then this is the novel you've been waiting for. 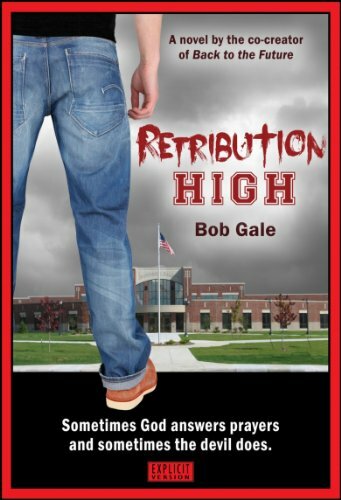 Retribution High combines elements of "Carrie" and the "Friday the 13th" movies with Clint Eastwood's "High Plains Drifter" and puts them into a contemporary high school, with some "Tales From The Crypt" sprinkled in as well. It's dark, it's twisted, it's violent, it's nasty and it's harsh. It's not politically correct. It's not for everybody. And it's not family entertainment. 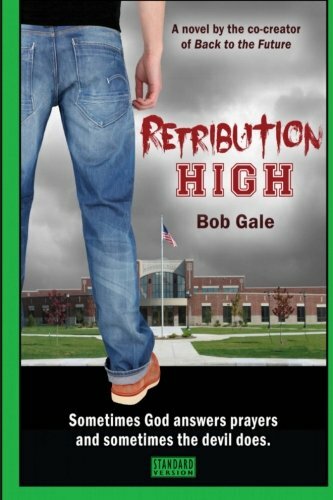 It's a high school horror tale in which the bad kids get what they really deserve. Retribution isn't always divine, but it can be immensely satisfying! For the first time ever, an author is making his novel available in the equivalent of a PG-13 version (Standard - green border) and an X-rated version (Explicit - red border). Now you can choose how extreme you want your reading experience to be. After all, movies, video games and music lyrics carry ratings, so why not books? And with Amazon's "Look Inside" feature, you can read the first two chapters of each version free, and get an idea of which version is right for you. The Kindle e-book versions are only $3.99. And if you don't have a Kindle, you don't need one: the Kindle app is available free for your tablet, your smartphone or computer. Or, if you prefer a printed version, use the links below for the paperback edition.